We are a leader in the research and development of passive safety in the automotive, aeronautics and railway industries. We have a proven track record and are internationally renowned in this field; our +10-year experience bears us out. We have engineering and calculation departments and our own test labs to develop safety systems on the basis of either regulatory (ECE FMVSS, TRIAS), consumer (USNCAP, EuroNCAP, IIHS) or client requirements. Our technical teams work closely with the client, providing solutions during the design, development, optimisation and validation of the various components of restraint systems and ensuring they are properly integrated into the vehicle so as to reduce the risk of injury of occupants with regard to the different types of crashes. All the activities required for the development of passive safety (engineering, calculation and testing) are carried out inside the same development centre, which affords a high degree of coordination between the different teams, vendors and clients involved, thus guaranteeing an efficient planning and execution of the projects. Thanks to our multidisciplinary work teams we can tackle all component and structure functional development phases in an integral manner, from their initial analysis and optimisation by means of CAE models to their final correlation and validation by means of testing. We analyse and develop the functional and energy-absorption functions of vehicle components by means of CAE simulation and validation through testing. CBody: head-on and side collisions. Other: reparability, dachfalltest, OEM internal specifications. 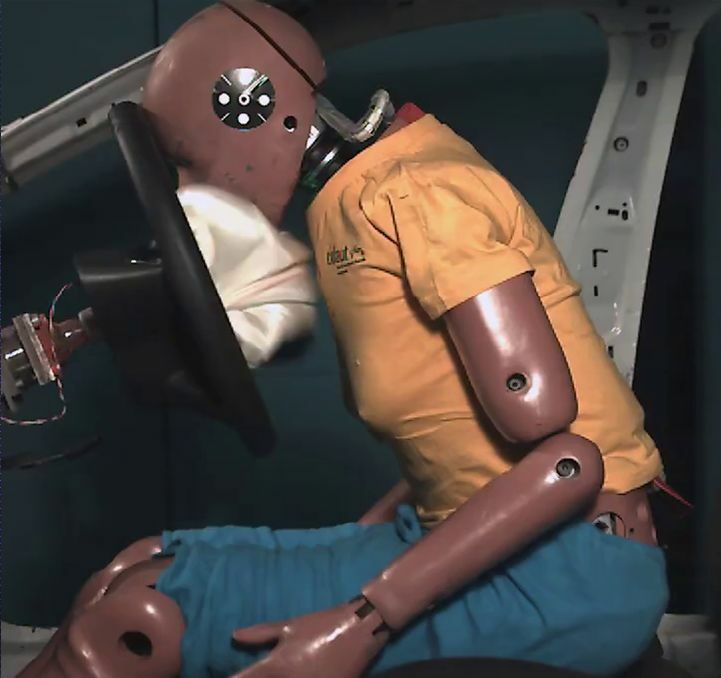 We develop restraint systems for standard head-on, side and rear-end collision configurations and other types of crash scenarios. Restraint system optimisation and integration. Airbag module (DAB/PAB/CAB/KAB): component analysis; subsystem testing. Development of out-of-position (OOP) behaviour. Fascia panel design and development: rigidity analysis and head impact protection. Head impact protection of interior trims. Cidaut is an international leader in the field of numerical simulation and virtual testing techniques. We have highly qualified staff and top-of-the-line hardware and software resources to tackle the simulation studies required in the development of passive safety, regardless of the requisite off-the-shelf software. 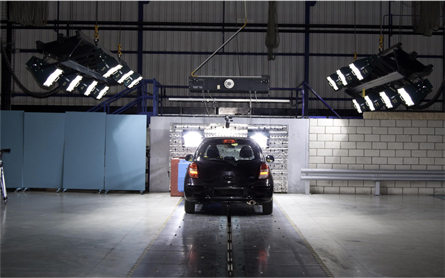 Structural and whole vehicle collision testing. Head-on, side and rear-end collision testing. 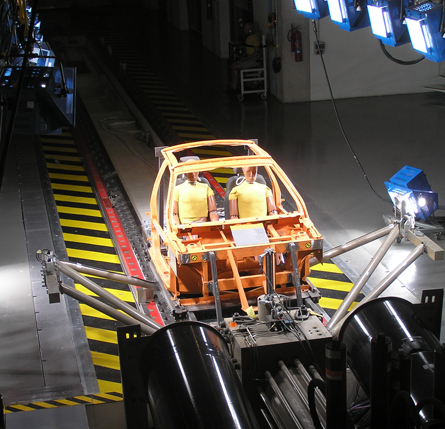 Our Passive Safety department has consolidated our expertise and know-how in relation to the functional, integral development of vehicle and automotive components from the point of view of experimental testing, numerical modelling, and correlation. Component subsystem testing for strut B and door development. 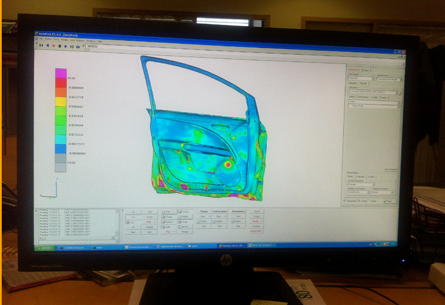 In-house dynamic material characterisation methodology. 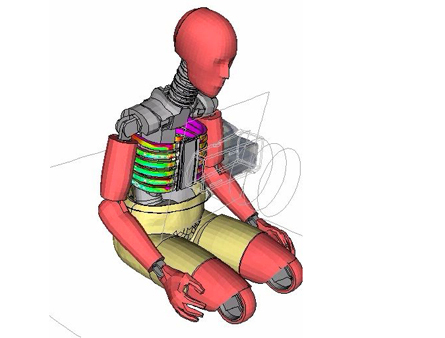 Advanced airbag (FPM and CM) and buckling simulation tools. Experimental component interaction analysis and correlation.